With a special interest in fatigue, stress and female health. We are all different and have varying needs and gals. It is these needs and goals that should define your dietary plan, and this should then be further enhanced by evidence-based research. Plans tailored to the individual are much more effective than a ‘one size fits all’ approach. Please note: Nutritional Therapists will never recommend nutritional therapy as a replacement for medical advice and always refer any client with ‘red flag’ symptoms to their medical professional. Nutritional Therapy will help you to understand that what you eat is vital to your health and well-being. 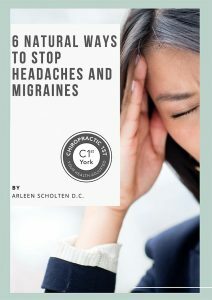 It will also teach you how to nourish your mind and your body – through learning what nutrients you need (particularly in relation your lifestyle and health conditions). 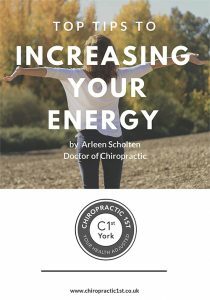 Recommendations may include: optimising digestive health; improving energy levels; balancing hormones and generally improving vitality and well-being. 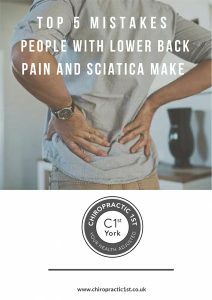 Please call Lucille on 07775 973 621 or email nutriclinicyork@gmail.com. You will be sent a questionnaire and food diary which you will need to complete and return prior to attending your initial 90 minute consultation. During the first consultation your completed health questionnaire and food diary will be discussed in more detail including your health concerns and symptoms, following which you will be sent an agreed realistic and personalised written action plan and an information pack. This information pack will include detailed and practical dietary advice such as fact sheets, menu plans and recipes. The second consultation is usually recommended 4 to 6 weeks later which will allow you to put the recommended dietary changes in place. During this consultation we will discuss your progress and make any changes where necessary. We will also delve deeper into the possible underlying cause of your main health concerns and tweak your action plan accordingly. At this stage we may suggest some functional testing and nutritional supplements which would be an additional cost; price dependant on test. You may need more than one follow-up consultation; either due to you having more complex health concerns or requiring further support to help you make life long positive changes to your diet. This is entirely optional and depends on your own personal situation and can be discussed during your initial consultation. Lucille considers these review sessions as ‘Taking Charge’ sessions; an opportunity for you, with her help, to take control of achieving your health goals. If you have been taking steps towards your health goals for a while then start to lose motivation these weekly or fortnightly sessions will help you to keep up the motivation and really see the benefit of the nutritional changes you are making to your health and wellbeing. Helping to cement your new lifestyle and nutritional habits in order for you to achieve your health goals in the long term. During these sessions we will review how you are doing on your Action Plan and if it needs adapting or any issues and challenges you face.